He represents the American icon of normalcy—and discontent. After having an accident that leaves him near death, Michael is visited by a wise angel who asks what it is that Michael really wants from life. Michael replies that he really wants to go—home! In order to get to his final destination, Michael must first go through a series of adventures and trials in an astounding land filled with angelic beings, wise teachers, and even sinister entities. Michael's quest is an emotional, humorous, awe-inspiring one that he could have scarcely imagined. 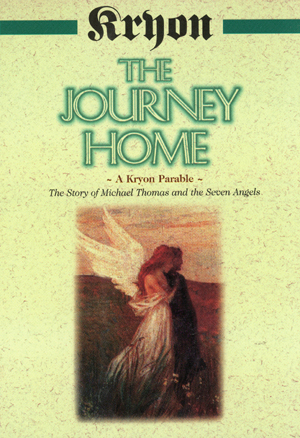 Travel with Michael Thomas on his metaphysical journey home. It's a wondrous and memorable trip that will stay with you always! Submitted by Anonymous on Sat, 01/01/2011 - 14:07. A metaphor for our spiritual journey, "Home" teaches us we can all attain the wholeness and surety of understanding we are part of something far larger than what we see and perceive in the world around us. This book is light years ahead of Jane Robert's 1970's book, The Education of Oversoul Seven. It is clear, simple and straightforward metaphysics at its very best. Submitted by Trixy: CT on Thu, 08/05/2004 - 14:49. I loved this book; it was the first one I read by this author. I plan on reading all of the others. It's definitely one you will enjoy and take the information with you! !